Volunteering on a Care project in Kenya with Projects Abroad is a great way to help improve conditions and levels of education for disadvantaged children abroad. You can contribute towards this on-going development work during a gap year, career break, or summer vacation. We welcome volunteers with qualifications and experience but you do not need to have either to volunteer on a Care program. All you need is energy, passion, and a commitment to help the children that we work with. While Kenya is the most industrially developed country in East Africa, the inequalities between different communities continues to widen. Poverty has a severe and long-term detrimental effect on the local population, often leading to an increase in drug use, mental and physical abuse, as well as disease. 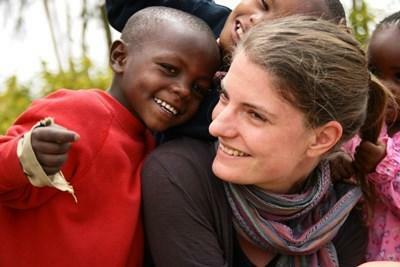 We have a variety of volunteer options in Kenya. Our volunteers work in care centres, kindergartens, and special needs centres. At these placements, volunteers help support children from babies to about 14 years old. We also have some placements in smaller day care centres that look after children from single parent families or street children. Our Care placements are located in and around the town of Nanyuki, 200km north-east of Nairobi. Nanyuki is home to two slums and a large number of street children, so there are numerous opportunities for volunteers to make an impact on these children’s lives. Whichever volunteer Care Project you join in Kenya, you need to be ready for a challenge. Many of the children are not used to having a routine and look forward to having planned activities, educational games, and help with their homework and daily chores. At some placements there are children who have psychological or physical health problems and who need a great deal of special attention and help with their day-to-day activities. Your role as a volunteer will be to spend quality one-on-one time with a child, play educational games with a group of children, help them with their day-to-day chores, and monitoring their progress. This extra attention and support is what makes volunteers so important. Volunteers also play a vital role when it comes to introducing new educational activities and helping the local kindergarten teachers with their day-to-day work, ensuring that the children have the best start in life. In many of the care centres they have limited toys for the children and so the local staff carry out basic lessons with children as young as three in order to keep them occupied and stimulated. Education is vital for the younger generation in Kenya and allows them to have more opportunities and choices when they are older. Almost all the care placements we work with have a classroom where the young children are expected to attend basic lessons. We encourage volunteers to get involved with these lessons and carry out simple educational activities with the children, including arts and crafts, colouring, and basic math games. 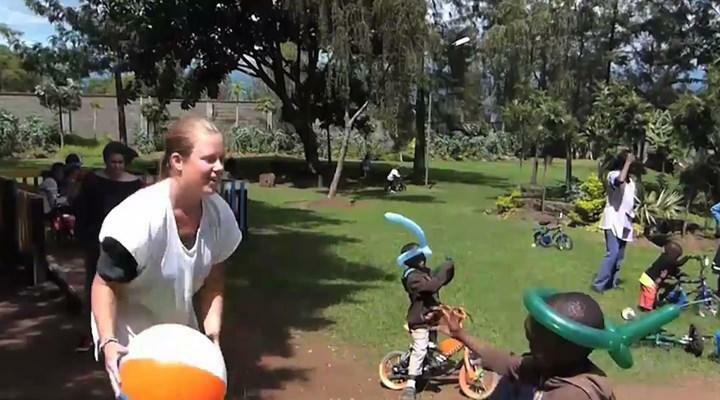 The Projects Abroad team in Kenya often organize workshops for care volunteers. These workshops may focus on cultural differences in placements, learning key vocabulary in Swahili, reflection and feedback sessions between volunteers, or practical ideas for care activities. The workshops will provide you with a useful insight into the care system in Kenya and the background of the placement where you’re working. Whether you are feeding and bathing babies and toddlers, helping the teacher with the younger children in the classroom, helping older children with English school homework, or playing a game with the younger ones, you will help provide emotional support, educational opportunities, and improve the quality of life for the children in Kenya. Please let us know about any extra interests or skills that you have which could be used at your placement. You can join a Care project in Kenya for two or three weeks if you don't have time to join us for four weeks or more. This project has been selected by our local colleagues as being suitable for short term volunteering for both the host community and the volunteer. Although you will gain a valuable cultural insight and work intensely within the local community please be aware that you may not be able to make the same impact as someone volunteering for a longer period. While you’re in Kenya, you might also consider joining a 1 week Conservation & Environment Project. For more information, please visit our African Savannah Conservation & Environment Project in Kenya page. Our Combinations Page explains how you can combine not only projects, but also destinations.